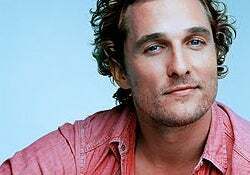 Matthew McConaghey Merely Tool Of Religious SF Pundits? Is Star Trek one of the last hold-overs of a Godless science fiction that's slowly dying off and being replaced by an SF where spirituality is one of the main themes? That's one of the theories put forward by physicist and pastor George Murphy in his lecture Real Faith and Fictional Worlds, part of Calvin College's "Christian Perspectives in Science" series of lectures. Science fiction has become increasingly respectable and influential in recent years, portraying a variety of futures. God usually seems to be absent from those futures, together with every other aspect of Christianity. But is that really the case? Religious questions often surface in new and challenging guises, and are sometimes quite explicit. This talk will reflect on religion and science in the science fiction world, with reference to a number of popular books, films and TV shows, and will suggest some ways in which science fiction can help to communicate the Christian message.